This is post 4 in a series of 5. For those just joining this series, I am sharing some headlines from 4 healthcare conferences I recently attended, hosted by prominent organisations. These recap posts will hopefully act as a quick update on what’s being discussed across wider healthcare circles and might reinforce or augment your thinking and work too! Each event had ‘lean forward’ moments. It is these which I’ve distilled out in the respective blog posts. I also make observations on the general buzz and vibe around the coffee and lunch tables. While these are subjective observations, I think they help in offering a perspective on current attitudes in the sector. Post 5 of 5 in the series is where I’ll have some top tips on how the typical conference formula might be updated to intensify the value, relevance and impact of these events. More differentiation needed amongst private players: a consistent theme throughout the conference and particularly prevalent in one of the sessions I chaired on branding and marketing in private healthcare. This differentiation will need to be on quality, value and outcomes…I’ve been banging on about this for years! International patient flows from the GCC States is drying up: The bubble has burst. “All states are cutting back on government funding of treatment abroad, bringing in compulsory health insurance schemes and investing in hospital development to keep patients at home”, quoting Keith Pollard, MD of Intuition Communications. This is good news for those wanting to take their expertise to the source market, but bad news for those wanting inbound work from those markets. Not discussed at the conference, at least not in any of the sessions I attended, is the recent announcement by the MDU that they are ceasing to cover private spinal surgery. Yet another jolt for a market in which the fault lines are increasingly visible. 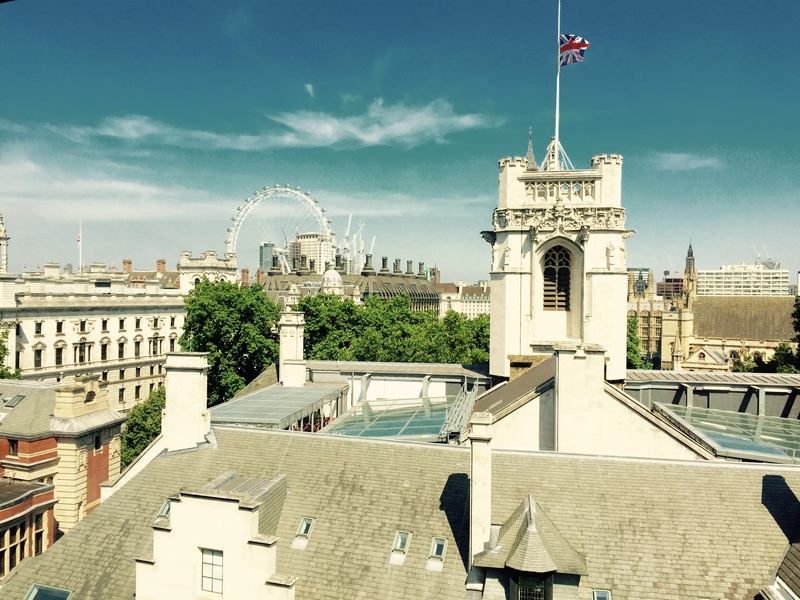 What I liked about this conference and the general vibe: The venue (QEII Centre in Westminster) was incredible with impressive views over London. I also liked the wide agenda which covered some of the critical challenges facing the private healthcare sector. The overall vibe was that the market is incredibly dynamic and threatening. It is requiring a lot of new ways of working but, I think, a rather confusing space for many who don’t know how to set their strategies within the changing dynamics. Check out #PrivateHealthcareSummit on Twitter for more on the buzz from this event! Thank you for reading this post. I hope you found this useful. I’d be interested in any comments or discussion that it might have inspired. This has been ‘Away from the Heard’ – the Saffron Steer blog.